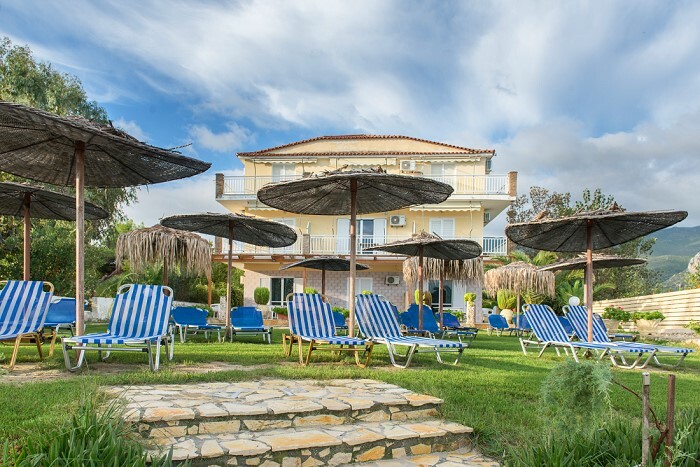 The Villa Pouliezos complex is located in a quiet area between the two renowned family tourist resorts of Alykes and Alykanas. 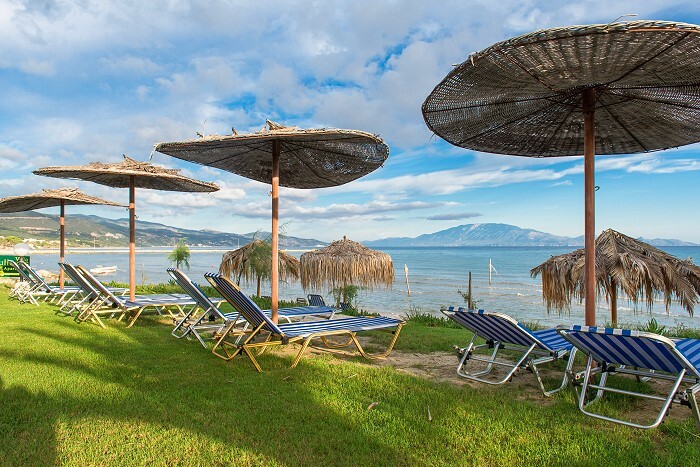 It consists of two buildings, the Beach Apartments right on the sandy beach and the Riiverside Apartments just 50 meters away, sun loungers and umbrellas on a well kept grass lawn and on the sand and plenty of parking space. 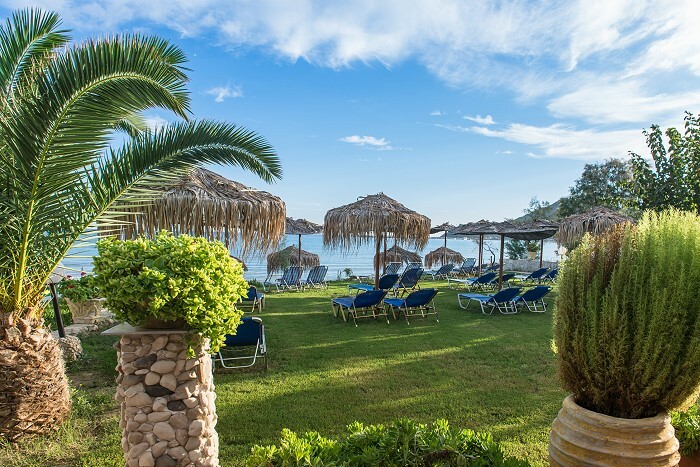 The comfortable, fully equipped apartments with spacious balconies and verandas overlooking the endless blue of the Ionian Sea are ideal for a family vacation, a romantic getaway or a fun break with friends. The friendly family of owners is always eager to help and make your holiday an unforgettable one. 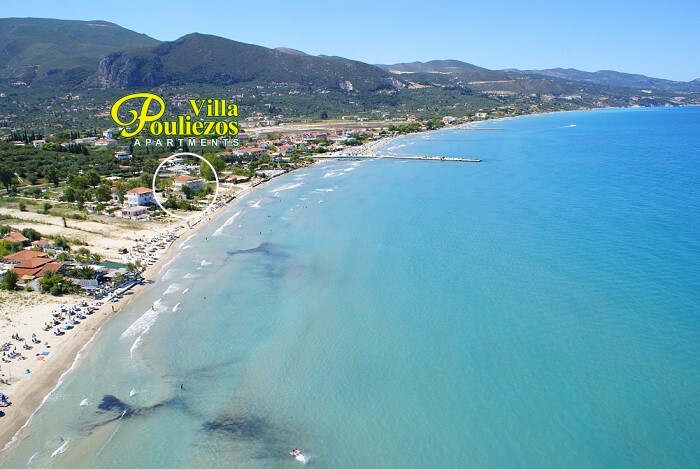 If you are looking for a fun yet relaxing experience come and visit the Villa Pouliezos! We look forward to welcoming you to our family!